MarketGrid offers the power of full exchange technology, but with far greater flexibility and pricing efficiency. It is ideal for internal matching engines, dark pools, lit pools and ATSs, while also providing all the support applications for a complete market. It’s also a powerful algo testing facility. The MarketGrid matching engine is fast and flexible. 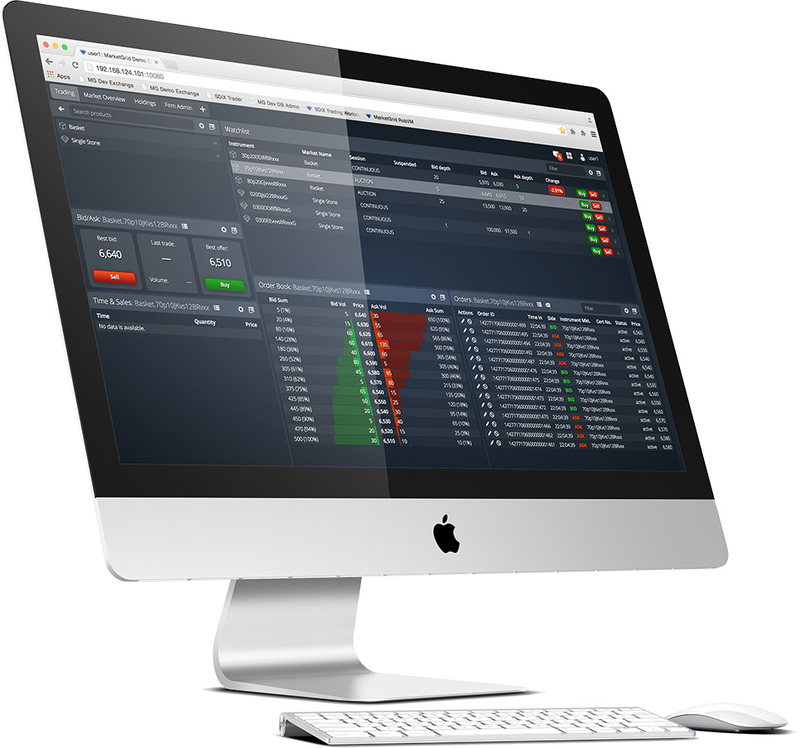 Because it’s completely integrated with tick capture and compliance functions, it provides the most seamless trading environment available today. It can handle upwards of 190,000 orders per second with latency of less than 4 microseconds on a round-trip. Read more about our matching engine here. MarketGrid offers all the functionality needed to launch and run a trading venue, right out of the box. Its surveillance technology can keep pace with most sophisticated participants while providing real-time alerts and analysis. The system manages risk from pre- to post-trade through integration with the world’s most powerful timeseries database, kdb+. As regulators become more vigilant (and litigious) the ability to self-test and self-certify algo behaviour becomes more valuable. MarketGrid offers algo testing facilities using the full depth of real market data across unlimited venues in separate instances of MarketGrid, at real speeds, creating real interactions. Importantly, client algos can also be tested within this environment without risking valuable IP. With the enormous global focus on compliance, the ability to effortlessly produce reports and analyses of market events and participant behaviour is now business critical. MarketGrid’s integrated full depth tick capture allows for real-time monitoring. The system can trigger alerts as soon as an issue occurs, then support problem analysis within minutes. Importantly, the way the system is architected means that it can be re-configured easily and cost-effectively with minimal risk.